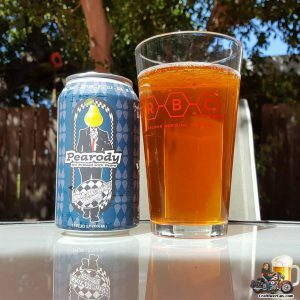 Ska Brewing’s Pearody Ale hits the brewery’s World Headquarters in cans earlier this month and will be more widely available this year in 12 oz 6-packs across Ska’s 13-state distribution footprint seasonally while supplies last. Packed full of fresh fruit and hop flavors and sitting at a sessionable 4.5% ABV, this beer is a clutch sidekick for any winter or springtime activity. These photos were taken Saturday afternoon at Absolution Brewing Company in Torrance, where the production brewery celebrated five years of brewing beer. The free-to-attend event featured about 20 Absolution brews, live music, karaoke, food trucks, and games. Attendees that purchased a VIP ticket also received anniversary glassware with a pour of their anniversary beer and a 4-pak of their anniversary beer. As Absolution has recently begun canning some of their beers, they used their anniversary to release a canned version of their Floc-Ness Monster DIPA. On Saturday, the 4-pak cans were available on a 1-to-1 basis only, so I am not sure if they were all sold or not. You might stop by the tasting room and see what their new brewer, Erik DeBellis, has been doing. They have completely revamped from the Old World/New World theory. These photos were taken Saturday afternoon at the Common Space Brewery and Tasting Room in Hawthorne, where they celebrated their first anniversary with several hundred of their fans. The event featured their first can release, an anniversary beer, several food trucks, live music, and games that were enjoyed by adults and children alike. And there were dogs; lots and lots of dogs. These photos were taken Saturday afternoon in Gardena, at the 1st Anniversary of the State Brewing Company tasting room. 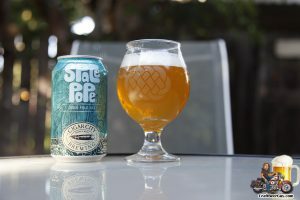 If it seems like you have been drinking State’s beer for longer than a year, there is a very good chance of that as they have been brewing since at least the beginning of 2016. It was not until last February that they officially opened their tasting room to the public. These photos were taken Saturday afternoon at Los Angeles Ale Works (LAAW), in Hawthorne, where they celebrated their second anniversary with an 80s themed block party featuring several food trucks, DJs, live music, pop rock beer slushies, candy necklaces, Micheladas, a laser light show, a double juicy IPA can release, and lots of other L.A. Ale Works beers. I arrived about an hour after the official start time and the block party was already filling up with LAAW fans along with their families and dogs. DJ Sundy was providing music and food was being served up by Bartz BBQ, Kogi Korean BBQ, Hustle & Dough, and Scoops on Tap. Moral Panic – Now in cans! Moral Panic, a Brut IPA from Ska Brewing, debuted at the brewery in cans on Friday, November 30 and hit the brewery distribution footprint beginning December 7. 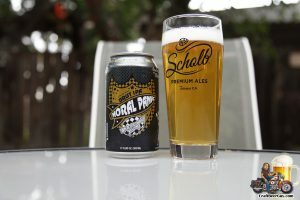 This refreshing, dry finishing IPA satisfies brewery Co-Founder and CEO Dave Thibodeau’s urge to name a beer Moral Panic and quenches palates gravitating toward this emerging trend. 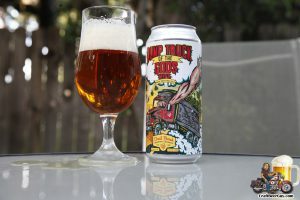 Cigar City Brewing (CCB), one of the fastest-growing craft breweries in the U.S., has announced the addition of the CCB Mixed 12-Pack to its year-round offerings. The new format includes 12oz cans of CCB’s most successful brands – Jai Alai IPA, Guayabera Citra Pale Ale, and Florida Cracker Belgian-style White Ale – plus Space Pope IPA, a vibrant and citrus-forward IPA brewed with Galaxy and Nelson Sauvin hops, packaged exclusively for the Mixed 12-Pack. The introduction of the CCB Mixed 12-pack follows the successful launch of Jai Alai IPA 12-packs and the CANarchy Mixed 12-Pack Vol. 1, which features Jai Alai IPA and flagship brands from CANarchy portfolio-mates Oskar Blues Brewery, Perrin Brewing and Squatters Craft Beers. CCB looks to expand its presence in the 12-pack can segment as 12-packs of craft beer continue to grow in U.S. grocery*. Dust Bowl Brewing Co. continues to expand its specialty can portfolio with the introduction of Dump Truck of the Gods. The Mega IPA was first offered in draft in August 2014 and rolls out to retailers this month in the 16 oz./pint can format. It’s on the schedule for another run in May. Dump Truck of the Gods features a hefty 11.7% ABV and 130 IBUs. Huge aromas of candied orange, papaya and a little booziness accompany the full-bodied, caramel malt sweetness. 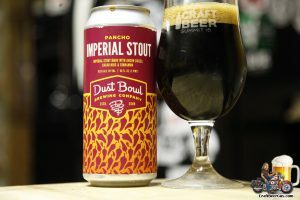 Dust Bowl Brewing Co. kicks off 2019 with the introduction of Pancho Imperial Stout, available in 16 oz. cans and draft. The limited release brew is made with cacao nibs, Ancho chiles, and cinnamon. Pancho offers a smooth finish despite the hefty 10.1% Alcohol by Volume. 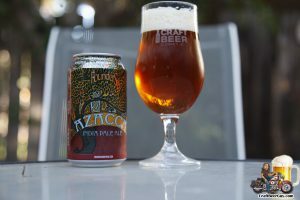 Founders Brewing Co. has announced the return of seasonal favorite, Azacca IPA, to its lineup. Available through March 2019, Azacca IPA features an updated can design that showcases the artwork inspired by the beer’s namesake and singular hop character. First introduced to the brewery’s seasonal lineup in 2016, Azacca IPA features Azacca hops from Yakima-based Roy Farms and celebrates the versatility of a single-hop in an American-style IPA.